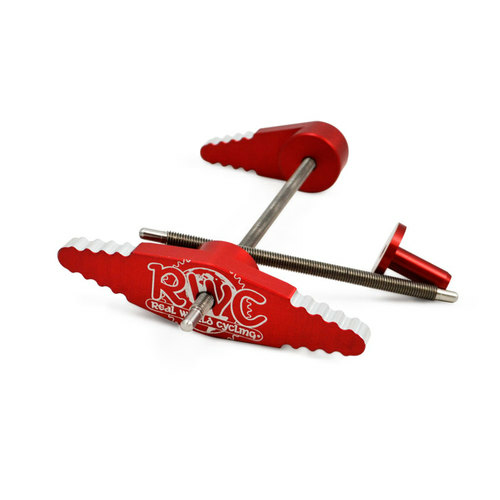 RWC Suspension Bearing Tool 6 for installation and extraction of 609 MAX bearings, as used on YT Capra frames. This kit is a set of guides for removing and installing bearings into the linkages. The handle set to drive the guides is not included and must be purchases separately. PLEASE NOT THAT THIS GUIDE SET REQUIRES THE USE OF RWC HANDLE SET 2, which has a special 5mm OD threaded rod. This allows for a proper pilot guide to be used inside of the 9mm inner race of the 609 bearings.